Oklahoma State University freshman and Reporter for the Oklahoma State FFA Association, Brooklan Light of Garber, Okla. took a moment Thursday, during the ongoing National FFA Convention in Indianapolis this week, to speak with Farm Director Ron Hays, for the Radio Oklahoma Ag Network. As an FFA member in high school, Light was very involved in FFA activities, primarily public speaking and showing both swine and goats, but also raised miniature Australian shepherds as well. Today, she attends classes in Stillwater, seeking a double-major in agricultural communication and plant and soil sciences. She began her FFA career in the 8th grade but told Hays, it wasn’t until her freshman year at the annual state convention that she realized what an opportunity she had to engage with fellow FFA members and truly succeed. National FFA Convention typically marks the halfway point in a state officer’s term of service. So far, she insists she has had the time of her life, serving the members of the Oklahoma FFA Association. During the National Convention this week, Light says she has been keeping busy, working closely with other FFA members in committees to strengthen and improve the policies of the organization. 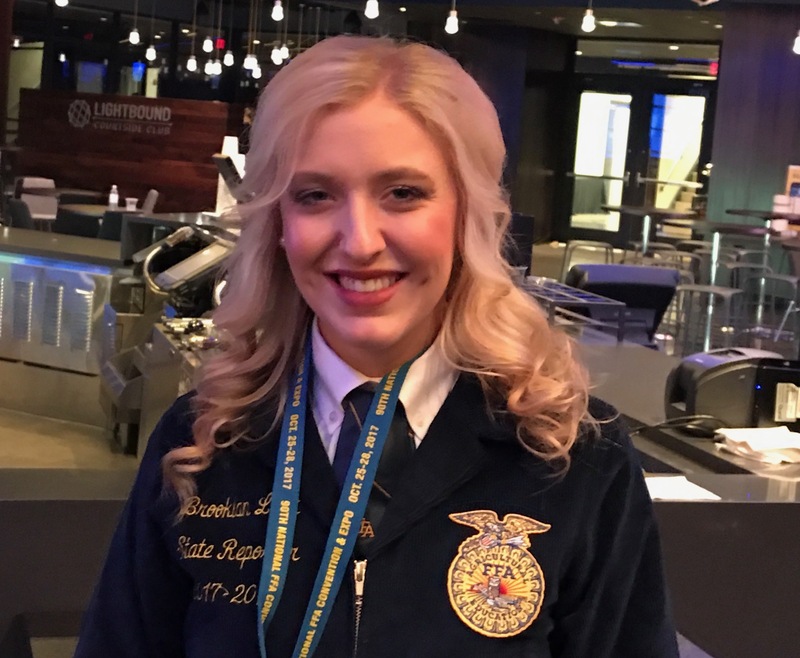 You can listen to Light’s complete conversation with Hays about her time thus far serving as a state officer for the Oklahoma FFA Association, by clicking or tapping the LISTEN BAR below at the bottom of the page.